240 West 54th St. between Broadway & 8th Ave.
New York, NY (June 24th, 2013) – IDEASMYTH.com is excited to present this panel radio/podcast experts of enormously popular award-winning programming: Catherine Burns (Artistic Director, TheMoth.org), Seth Lind (Director of Operations, ThisAmericanLife.org), & Jonathan Mitchell (Creator and Executive Producer, TheTruthAPM.com). Ideasmyth founder, Victoria C. Rowan, will first moderate a discussion about what’s involved in developing and producing great audio shows. After that, the whole panel will provide laser coaching of the five best pitches submitted from the audience. Everyone is encouraged to come early and stay late to enjoy Iguana’s excellent margaritas and Mexican food. 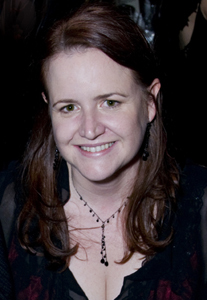 CATHERINE BURNS is the Artistic Director of The Moth, where she has helped shepherd the organization’s development over the last eleven years from a mostly local event to a national organization with year-round storytelling programs in fifteen cities. She is a producer and frequent host of the Peabody Award-winning The Moth Radio Hour, which can be heard on more than 250 public radio stations around the country, and oversees the curation of the critically-acclaimed podcast which is downloaded more than 15 million times a year. She has been the lead director of The Moth’s mainstage since 2003, and has told stories on The Moth stage at the U.S. Comedy Arts Festival in Aspen and Central Park SummerStage. Her theatrical directing debut, Helen & Edgar, starring Edgar Oliver, was called “utterly absorbing” by Ben Brantley of The New York Times. SETH LIND is the director of operations for the public radio show This American Life, heard on 500 public radio stations and downloaded weekly by nearly a million people. From 2008-2012 Seth hosted the monthly live show Told, featuring NYC’s best storytellers. He is a founding producer of the Gotham Storytelling Festival and an improviser with the long-form improv comedy group Thank You, Robot. Seth has spoken about storytelling at SXSW and The New York Comedy Festival, and guest lectured about radio production at Columbia University and The New School. He also occasionally works as a filmmaker. Seth’s short documentary Barbara Leather screened at film festivals nationwide and aired on Channel Thirteen. He was producer and cinematographer on the 2005 feature documentary Stranger: Bernie Worrell on Earth, about the genius P-Funk keyboardist, which premiered at Slamdance and won several film festival awards. Seth has a pacemaker but no known allergies. 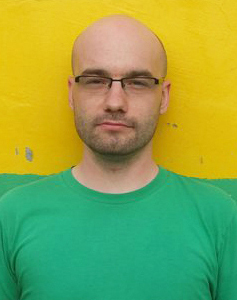 JONATHAN MITCHELL is the creator and producer of The Truth, a podcast that makes short films without pictures. 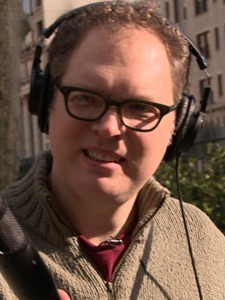 He’s contributed a wide range of pieces—documentaries, fictional stories, non-narrated sound collages, and original music—to all sorts of public radio programs: Radiolab, Studio 360, This American Life, Hearing Voices, Fair Game, The Next Big Thing, and All Things Considered, to name a few. His work has won many awards, including the Peabody, Third Coast, and the Gold Mark Time Award for Best Science Fiction Audio. He studied music composition at University of Illinois and Mills College, and lives in New York City. Posted in Good Ideas, Performance Ideas, Writing Education.